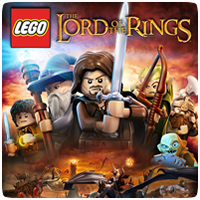 LEGO The Lord of the Rings is based on The Lord of the Rings motion picture trilogy and follows the original storylines of The Lord of the Rings: The Fellowship of the Ring, The Lord of the Rings: The Two Towers, and The Lord of the Rings: The Return of the King. The game features 27 trophies, including the coveted Platinum trophy, seven gold and six silver trophies. It’s a dangerous business going out your door. Safe is where I’ll keep you. Complete The Battle of Helm’s Deep. This is no mine… It’s a tomb! I think I’m quite ready for another adventure! Complete Weathertop in Free Play. Use Tom Bombadil’s laugh to destroy Sauron in Free play. There’s some good in this world, Mr. Frodo.